13rd April 2016 when Sebastian Vettel, which is one of the most successful F1 drivers who has won 4 championships arrived at Shanghai, he went to the exhibition room of Mr. Sanzi’s works at M50 and collected 2 classical works <Ascend> and <Afetr Snow>. Sebastian had been this gallery when he came to Shanghai for racing last year and he likes Mr. Sanzi’s works very much. But the time is too short for him to decide if he want to buy. 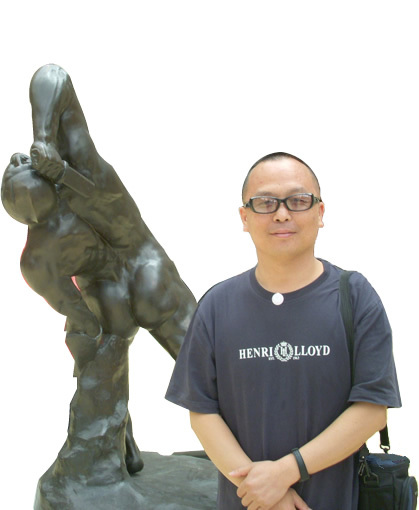 He bore Mr. Sanzi’s works in mind constantly. 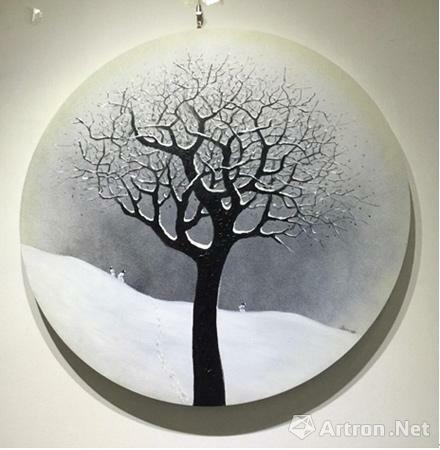 So he made up his mind to buy when the second time he met Mr. Sanzi’s works. 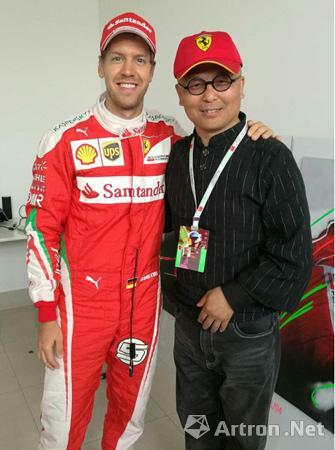 After that, Sebastian invited Mr. Sanzi to watch his racing at Shangha International circuit. After visting the Ferrari Studio, Mr. Sanzi and Sebastian made a cordial conversation. Sebastian asked Mr. Sanzi if Sanzi can design a helmet for him. Mr. Sanzi was quite happy and said “sure!”. After knowing that Mr. Sanzi’s studio was not far away from the circuit, Sebastian yearned for a visit. But he was too busy because of the racing. Sebastian told Sanzi that he would go to his studio the next year when he can prepare for a long time. Mr. Sanzi was also very happy and said to Sebastian he will prepare the best tea for his visiting. Before Mr. Sanzi left, Sebastian sent a signed hat of Ferrari Team to Sanzi as a remembrance. And Mr. Sanzi said he hope Sebastian can get good grade at Shanghai.